As a freelancer who lives in the NY metro area, I am often caught up in the incessant hustle, the on-the-go lifestyle, and the “convenience is key” thought process. Although I quite enjoy a fast pace because I am naturally restless, I began contemplating this from a broader scope, particularly after a very bad tumble last week in a parking lot whilst running to make the bus (jackass!). For example, a personal resolution of mine this year is to only order my fancy, almond milk coffee drinks out if I am able to sit down and enjoy it out of a ceramic mug. Though this isn’t feasible when a fast jolt of fuel is needed to continue the day, I became very aware of a few things. 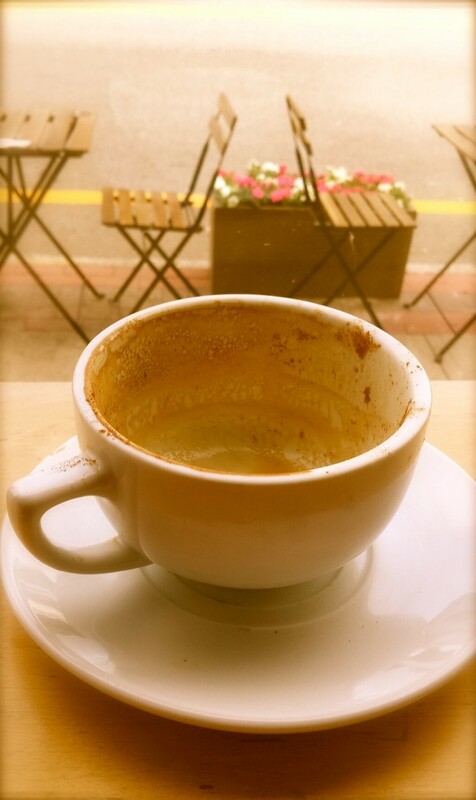 When I actually cherish the moment, each sip proved to be simultaneously relaxing and energizing. Simply put, it feels better. It also turns out to be an awesome platform for social interaction, which is easily missed with our imaginary blinders and headphones on in our mindless subway travels. And I could solemnly swear that it tastes better when you aren’t chugging out of a generic and wasteful paper cup. You see, if I’m going to continue this $3-5 a day habit, as long I adhere to my resolution as much as possible, I am actually able to appreciate an experience with it. The same principles may certainly be applied to other areas of life. Similarly, takeout food never tastes home-cooked like mom’s and don’t even get me started on the mushy, limp mess french fries are in that to-go container. It’s as if you’re getting the secondhand version of something – not quite the original, yet it’ll do. Likewise, the local mall with racks and racks of the same mass-manufactured clothing can seem so uniform and blasé. When I pass by some semi-cute top entrancing me with glittery sequins, there’s twenty behind it in various sizes (equalling twenty girls who will be donning the same piece from the same store, let alone countless others worldwide). This is why I’m drawn to vintage – because in a world full of monotony, these treasures keep it refreshing. In this case, the secondhand IS the original. Though if that top must be purchased because it caught your eye, fits you like a glove and the sale price can’t be beat, add your own personal twists to make sure it’s all your own. Maybe we should raise our standards a bit, for no one else but ourselves. We should make everything a personal experience that is originally ours, from pulling together an amazing ensemble to that last sip of a delicious latte. Yes, carpe diem. But savor it, too. No, no. Not that insanely catchy and seemingly nonsensical Eve 6 song that is a karaoke staple. 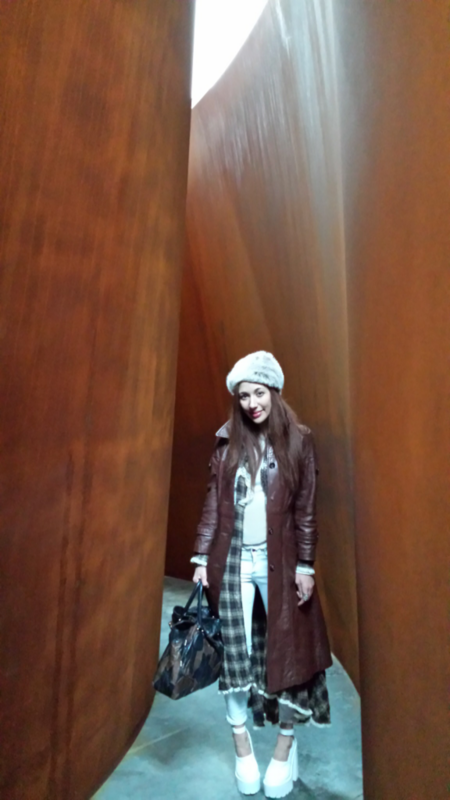 In early February, I cruised to the Gagosian Gallery‘s West 21st Street location. 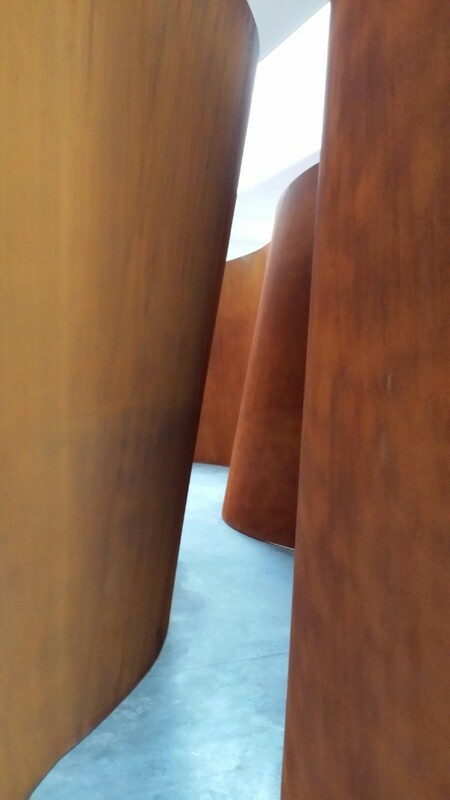 Upon walking in, I was visually slapped with the most ginormous sculpture aptly titled “Inside Out” and immediately was awestruck by how diminutive I seemed. The fact that I felt so small is particularly interesting, since I was towering in oversized, Pee-Wee Hermanesque platforms (making me about 6’3″). As I passed through the labyrinth’s twists and turns, a mild anxiousness overcame me as some corridors narrowed in dramatically. It was creating a reflexive sense of disorientation, as I was unaware of what was around the corner. The wider, open spaces of the exhibit where there was more light provided much more comfort. Alone, I hugged the curves of this foreign territory without knowing my next move. Leather trench & faux fur hat, vintage; Plaid duster, Free People; White denim pant, Kenneth Cole; Thermal, Abercrombie & Fitch; Scully shoes, Jeffrey Campbell; Leather Patchwork bag, Juicy Couture. 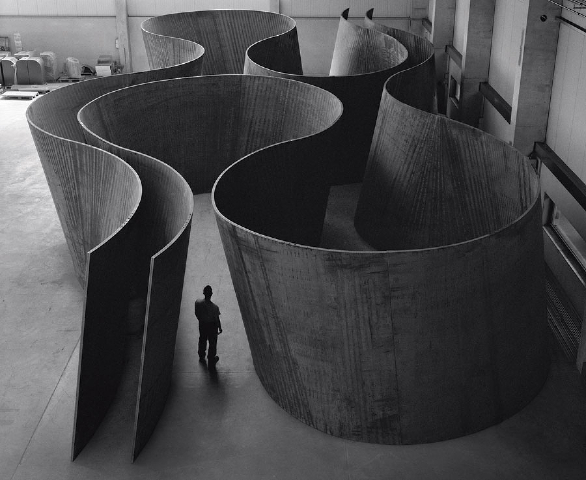 Although I just successfully teased you through the sublime coolness of this incredible piece by veteran American minimalist sculptor, Richard Serra, it unfortunately is no longer there (sorry!). You may view the installation experience in this interview with the artist here (“Inside Out” is at the 4:40 mark). I concluded that it was an amazing correlation to the twists and turns that are inevitable in real life navigation. Sometimes, the sense of knowing where you’re going is necessary and we rely on all types of gadgets and apps to get us to unknown destinations efficiently and smoothly. Though we are accustomed to the comforts of safety and routine, it’s a great sensory exercise to venture out, to get lost and to wander aimlessly through less known territories – to swallow my doubt, to turn it inside out. To find nothing but faith in nothing (even more sorry). I obviously have digressed, as I love to do. And, I now have an overwhelming urge to do the Tequila dance.